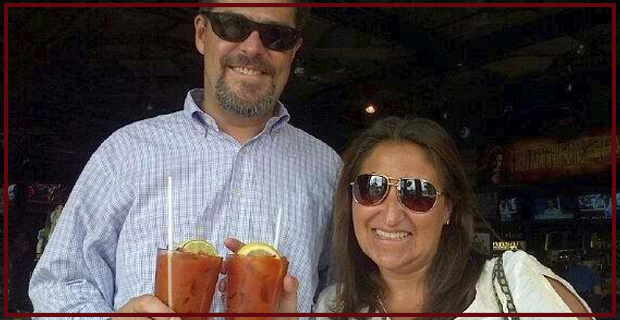 ...for the best Bloody Mary. Damn Good Cocktails presents Damn Good Bloody Mary Mix, a kettle-cooked Bloody Mary mix that's loaded with flavor and packed with high-end taste. Damn Good Bloody Mary Mix features a unique, high-end, rich-yet-fresh taste that you can’t find anywhere else in the market today. 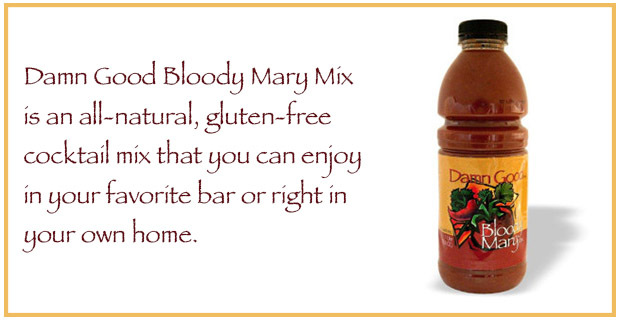 Damn Good Bloody Mary Mix is already replacing the other brands in restaurants, bars, liquor and grocery stores in NewYork, New Jersey, Connecticut and Massachusetts. 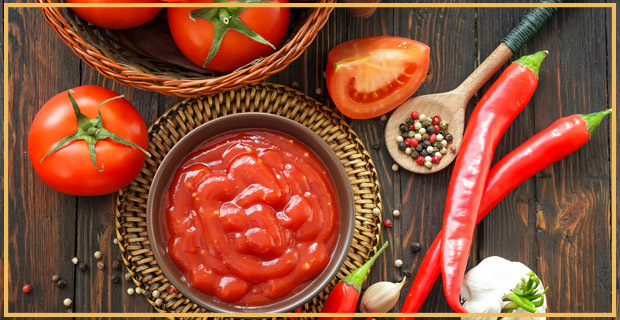 There are many Bloody Mary mixes available on supermarket shelves today, but for many Bloody Mary and other cocktail enthusiasts, these instant cocktail mixes leave a lot to be desired. Other bottled mixes tend not to meet consumers taste/flavor expectations for a home made mix. In addition, the major brands have only maintained their dominance in the market because the product is expensive to build and there's little competition out there. The husband-and-wife team behind Damn Good Cocktails decided it was time to change all that and give cocktail enthusiasts everywhere a choice when it comes to their pre-mixed cocktails. 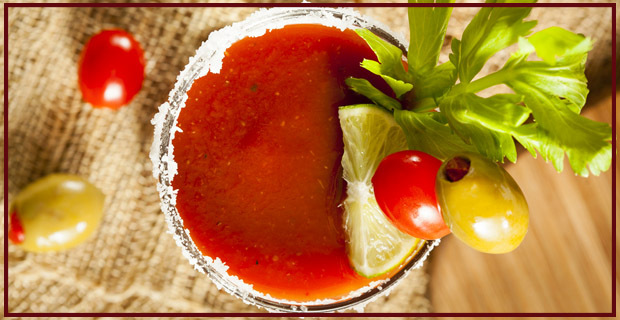 So they set out to develop the perfect Bloody Mary recipe and called it—what else—Damn Good Bloody Mary Mix! Many bloody mary drinkers like to feel like they have made their own cocktails from scratch without the hassle of preparing all the necessary ingredients. Damn Good Cocktails aims to answer the call of many a cocktail drinker and bartender who wanted to have a classic cocktail mix that is readily available but not too commercialized to have lost its full-bodied flavor. 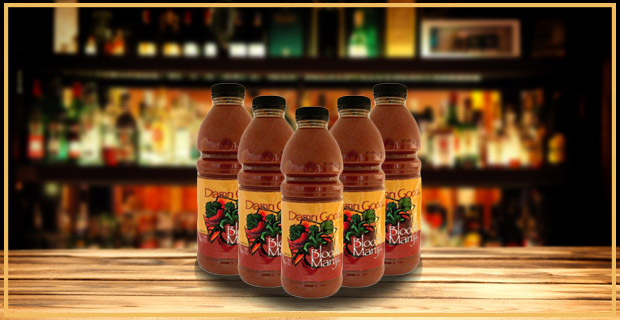 Damn Good Bloody Mary Mix has its distinctly flavorful taste that you can only achieve through kettle-cooking and allowing all the ingredients to meld together to create an unmistakably high-end taste for the discerning palate. Damn Good Bloody Mary Mix is all about flavorful taste, all-natural ingredients, and perfecting one of the best and most famous cocktail recipes every created. 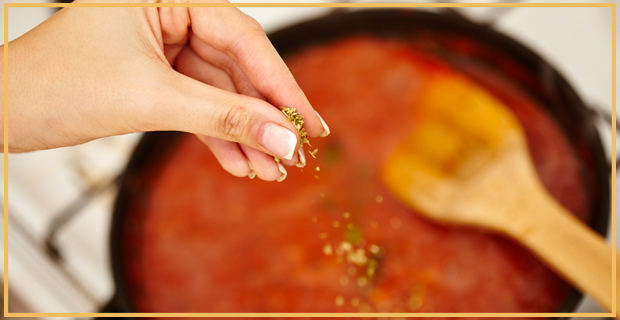 Our recipe uses gluten-free, all-natural ingredients that are kettle-cooked together to concentrate all the flavors and make it full-bodied and simply amazing. Unlike other similar products in the market which use flash cooking such as pasteurization before bottling, we kettle cook every batch of our Bloody Mary mix, allowing it to simmer and slowly cook, as if you are making your own tasty Bloody Mary mix at home. In our Damn Good Bloody Mary Mix we use our proprietary horseradish blend, our proprietary spice blend, as well as many other fresh ingredients, and a lot of tomatoes, lots of tomatoes!. Our mix is perfected from our own recipe from a career bartender in the heart of New York City, so we know exactly how we and our customers like our New York-style Bloody Mary—rich, flavorful, and damn good! We have been selling Damn Good Bloody Mary Mix in the market in the northeastern US (NY, NJ, CT, MA) for almost four years now. So far, we have sold over 4,000 cases with the help of our major distributors, and the sales still keep on coming! We have over 300 regular customers made up of bars, restaurants, caterers, as well as grocery and liquor stores. We have been getting overwhelmingly positive response from everyone who has tried out product—bartenders, home mixologists, and just about anyone who wants to enjoy a great-tasting Bloody Mary anytime and anywhere. One of our biggest clients is Delaware North, caterer to the MetLife Stadium, home of the NY Giants and NY Jets. They began using our Damn Good Bloody Mary Mix in the stadium for the 2014 season. In addition, Air Culinaire Worldwide also serves Damn Good Bloody Mary Mix for their in-flight catering. They service over 1,800 airport locations across the globe. Kevin has been a bartender on NYC's Upper East Side for over 10 years. It was there that he was encouraged by friends to market his bloody mary mix. Throughout the incredible journey of developing, launching, financing, and building a brand, Kevin has kept working as a bartender to support his family. It's this hard work ethic, and his desire to succeed, that will help turn Damn Good Bloody Mary Mix into a national brand with significant market share, as well as help turn Damn Good Cocktails LLC into a successful beverage company with multiple brands in it's portfolio. Lauren has run Damn Good Cocktails administratively from the beginning. She handles all the bill paying, record keeping, banking, tastings, etc, all while raising two children. All her efforts have proven successful; her children are healthy and striving in school and the business that she helped start is becoming more and more relevant. Kevin has over 20 years experience as a CFO, Financial Analyst, and Senior Accountant in the beverage, manufacturing, advertising, technology, financial services, and real estate sectors. Prior to founding FW Financial Partners, Kevin was Chief Financial Officer for NetTeks Technology Consultants, Inc., in Boston, MA, where he was responsible for strategic planning, implementing financial procedures and metrics, and management of senior level banking, legal, insurance and tax-provider relationships. Dave Duffy has worked in both the Non-Alcohol (NA) and Beer spaces in the beverage industry for 20 years. After two years at a local Coca-Cola Enterprises operation in Virginia running sales routes in the home market and on-premise channels, he spent 15 years working in sales & marketing management roles with Boston Beer Company, New Belgium Brewing Company, and Great Divide Brewing Company. Three years ago, Dave founded Colorado Craft Advisors, Ltd., a craft beverage focused consultancy, offering sales and marketing advisory services for suppliers, distributors, and investors. Lawrence is a business and intellectual property attorney who has represented clients similar to Damn Good Cocktails for over 40 years. Our Mix is Damn Good!